The works will upgrade the existing runway, improve drainage and install new arrestor beds to improve safety and extend the life of the runway by at least 15 years, assuring military flying operations at the station. The Defence Infrastructure Organisation (DIO) awarded the £23 million contract to Lagan Aviation & Infrastructure in October 2018. RAF Northolt is the last remaining military airfield inside the M25 and typical operations include transport for UK military and government leaders, medical evacuations, and support to exercises and operations across the Globe, such as in the west of Africa during the Ebola epidemic in 2015 and the recent EX SAIF SAREEA 3. The unit often receives aircraft from across the Fleet Air Arm, Army Air Corps and Royal Air Force fleets, from helicopters to the larger A400 and C17 transport aircraft. Though fixed wing operations will cease for the resurfacing period and operate from other airfields, helicopter operations will continue. 32 (The Royal) Squadron, the resident flying squadron at the unit, which provides air transport to UK government and military leaders on official business will operate their aircraft from RAF Benson in Oxfordshire. When the resurfacing works are complete, operations and civil flights movement at the unit will continue at the present levels. RAF Northolt is the RAF’s strategic site in London, home to 33 other units from all 3 armed services and wider government including the British Forces Post Office, 2 RAF bands, the MOD’s Aeronautical Information Documents Unit and ceremonial unit The Queen’s Colour Squadron. The runway resurfacing work will not affect the outputs of these other units. Having awarded the contract in October to Lagan Aviation & Infrastructure as the main contractor, and Mott MacDonald as our Principal Support Provider, we’re happy to see everything proceeding to schedule. 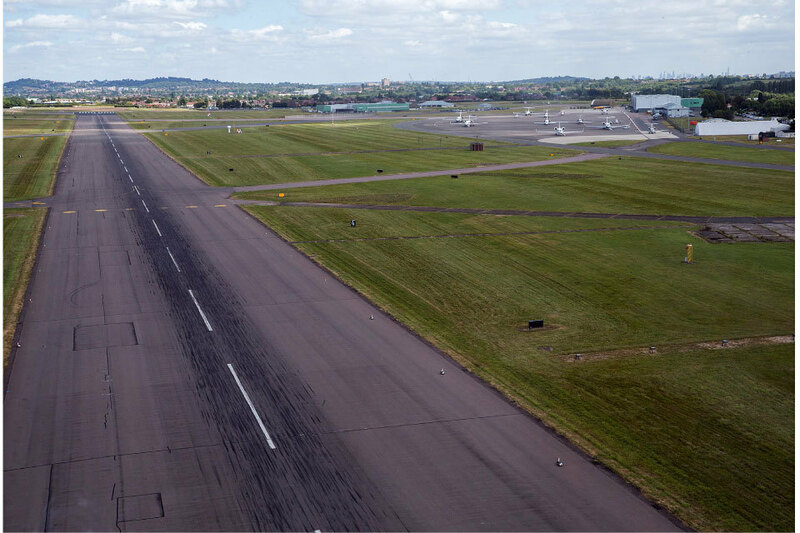 The preliminary work has been completed and the main job of resurfacing the runway is now starting. We look forward to successful completion of this vital work in the autumn to allow the RAF to continue their operations from RAF Northolt. These runway works will assure military flying operations at RAF Northolt for decades to come. This is the last remaining military airfield within the M25 and the flying operations we deliver makes a vital contribution for Defence and the United Kingdom. 18 months of detailed planning has gone into this project between military personnel, civil servants and the contractors; the team has worked brilliantly together to get us to this point. The Lagan Aviation & Infrastructure team have been busy mobilising on site this past few weeks preparing for project commencement. The project team are looking forward to commencing works on site and continuing our collaborative relationship with the DIO to ensure the project is delivered safely, on time and within budget.